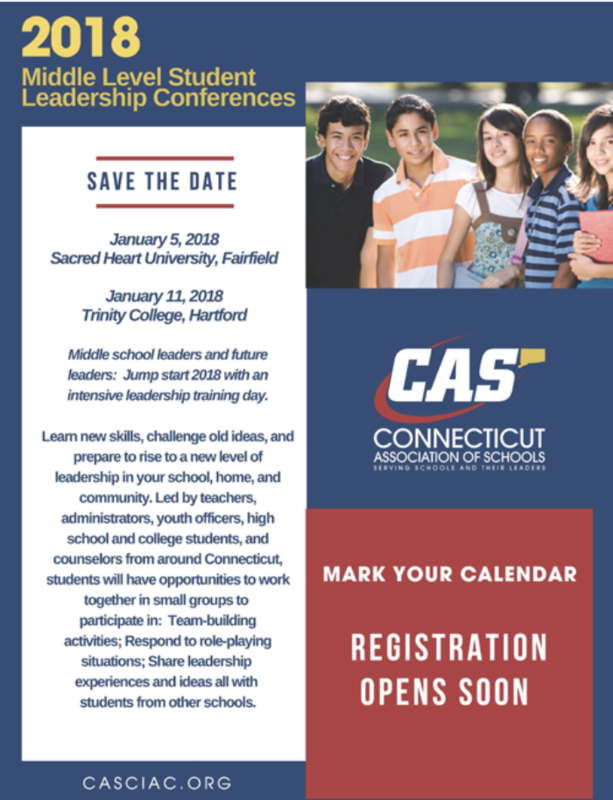 Connecticut schools are continually in need of successful, positive student leaders who can guide their peers and serve as role models. The Middle Level Leadership Conferences engage students in hands-on activities designed to foster leadership skills, productive thinking, decision-making, communication, and creative problem solving. Logan Driscoll, President and Founder of Driscoll Cares, was the key note speaker at Trinity College, giving a fourty-five minute power point presentation on leadership and taking initiative to over five-hundred students.